The OrCAD open architecture platform allows you to add new functionality in the form of apps, or you can build capability and flows yourself. OrCAD® PCB solutions provide a complete environment from initial schematic to final artwork. The platform delivers a complete, integrated workflow. 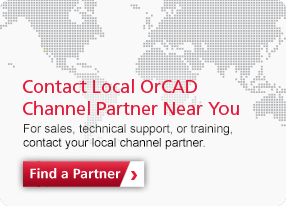 Find an OrCAD channel partner near you!